Today we took our first major step towards the end of summer break as Charlotte headed off to her first day as a first grader. 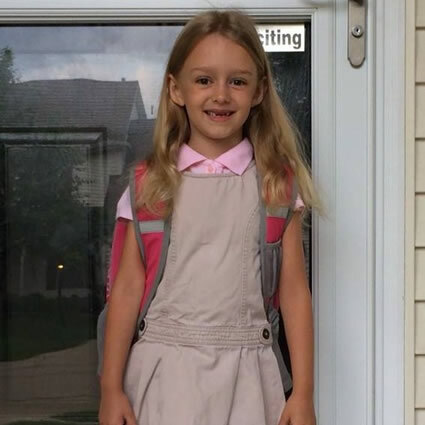 Her school is on a balanced calendar schedule which is essentially year-round school with longer breaks interspersed throughout the year. But me? I refuse let go of summer yet! To prove it, I'm spending 90 minutes of my day watching Poison Ivy -- one of my all-time favorite summer flicks. The reality of the matter is that in twelve more days... the Summer of Tim comes to an end.